How many airports do you know with luxury shopping, award-winning restaurants, five fire stations, and – oh, and I forgot to add – a fully automated train system that carries more than 250,000 passengers each day to one of seven concourses? Come to Hartsfield-Jackson Atlanta International Airport (ATL), and that is what you will find. If you’ve traveled through ATL at any point, most likely you’ve heard this message as you boarded the train to get to your flight or to baggage claim to retrieve your luggage. The Plane Train began running in 1980 but didn’t earn its official name until August 2010. 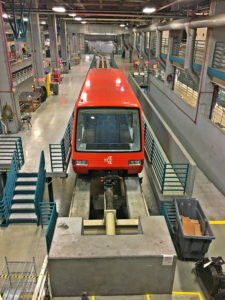 “The Plane Train is a 24-hour operation designed to help the airport be efficient in getting customers to and from our concourses safely and quickly,” said Hartsfield-Jackson Airport Transportation System Director Kenneth Williams. 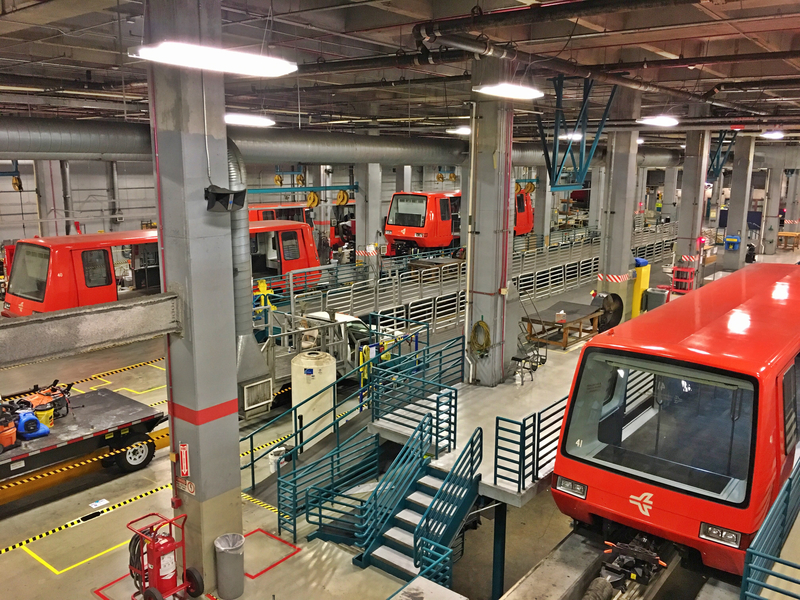 During ATL’s peak period— 5 a.m. to 1 a.m., 365 days a year—there are 44 cars on the rail system, which totals 11 trains. And don’t worry, if you happen to arrive at a train as the doors are closing, the wait time is only 108 seconds— less than two minutes— and Airport officials are diligently working to reduce the wait time by increasing the number of trains. “When the west extension is complete in a few years, the customer experience will be improved, and the wait time will go from 108 seconds to 90 seconds,” Williams said. 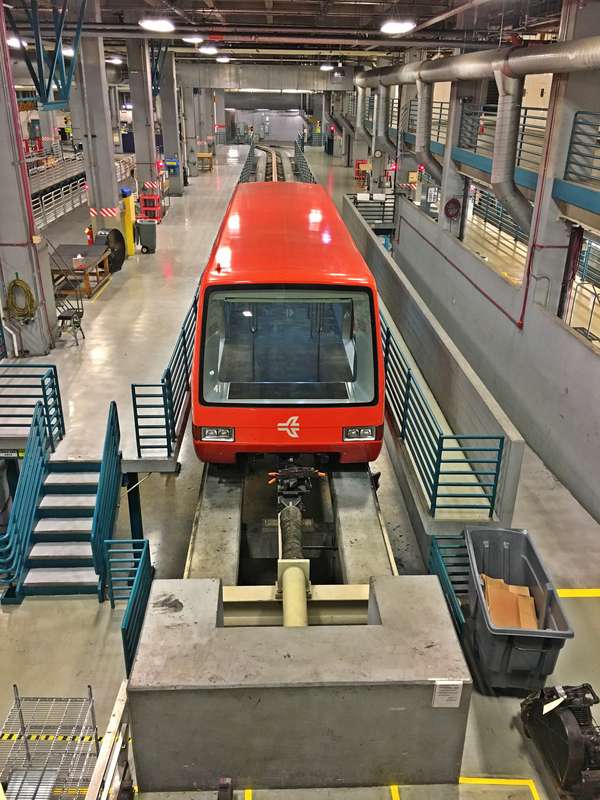 The APM team works with Bombardier Transportation, the manufacturer who has operated and maintained the system since 1980, to ensure that it is safe, clean and reliable. Moving more than 250,000 people a day is not an easy feat, but ATL does a great job according to one passenger, who compares it to her daily commute in the nation’s capital. “Being a daily commuter in D.C. for the past 10 years, along with having a job that requires constant travel across the United States, I still have yet to see another train system that is as efficient, clean and well-designed as the Plane Train,” said Kelli Johnson. Customer feedback, whether positive or negative, is not only important to Airport officials, it is encouraged. “Customer feedback is how we began operating 24 hours a day,” Williams said. “The train used to be inoperable every night between 1 and 5 a.m. for maintenance. 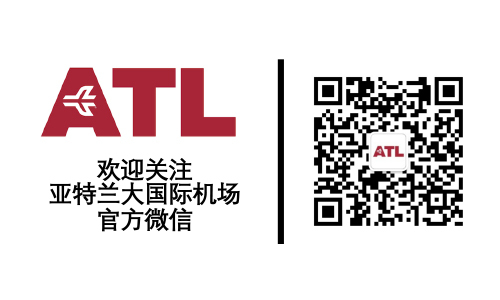 However, due to the concerns of passengers, ATL adjusted its maintenance schedule, and in January 2018, we officially began operating 24 hours a day in a two-train shuttle mode,” he said. The only time the train system is shut down is on Wednesday mornings at 1 a.m. during the off-peak time for maintenance of the track. To keep the system running nonstop, it takes 123 employees working three shifts. 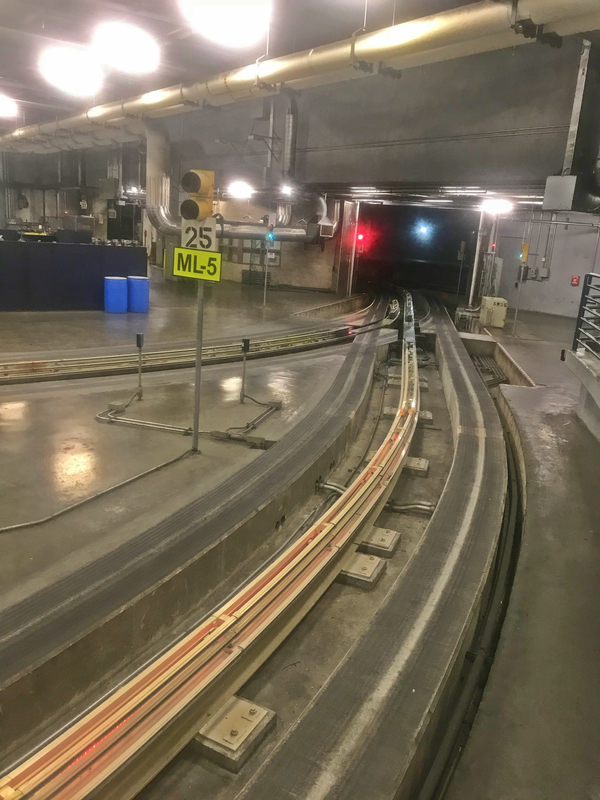 “I’ve been here for a long time, and it’s still extremely cool that this system is automated and runs without someone driving it,” Johnson said. 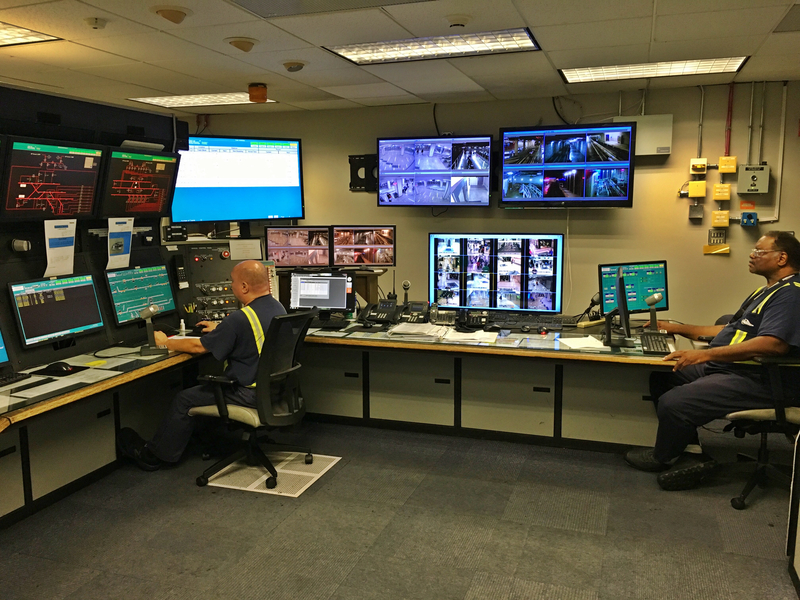 While there is no one behind the wheel driving the train, there are two control operators in the control room at all times. 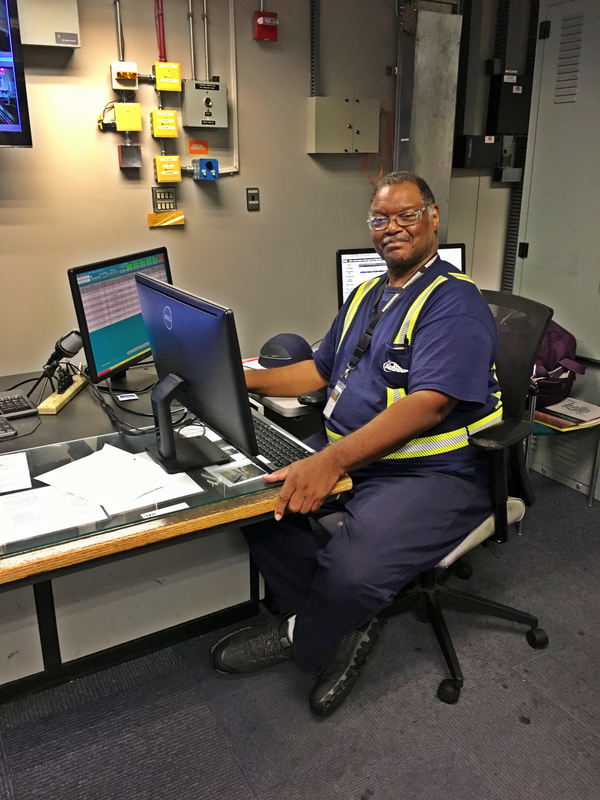 “From the control room, we can send commands to the train such as opening and closing doors and changing the speed profile,” said Arnold Williams, a transit tech. 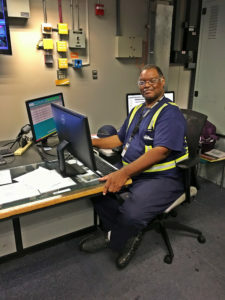 When things are not right, Williams and his team receive alarms and are the first to contact one of three recovery techs who are on-site at all times. Williams said he still finds joy in his more than two decades working with the Plane Train.